17th December 2015 | filed under Aesthetic Treatments, Surgical. We think that almost everyone would love a flatter stomach, but for some people, healthy eating and/or exercise aren’t enough to get the results that they desire. This is when some people turn to cosmetic surgery, specifically abdominoplasty. 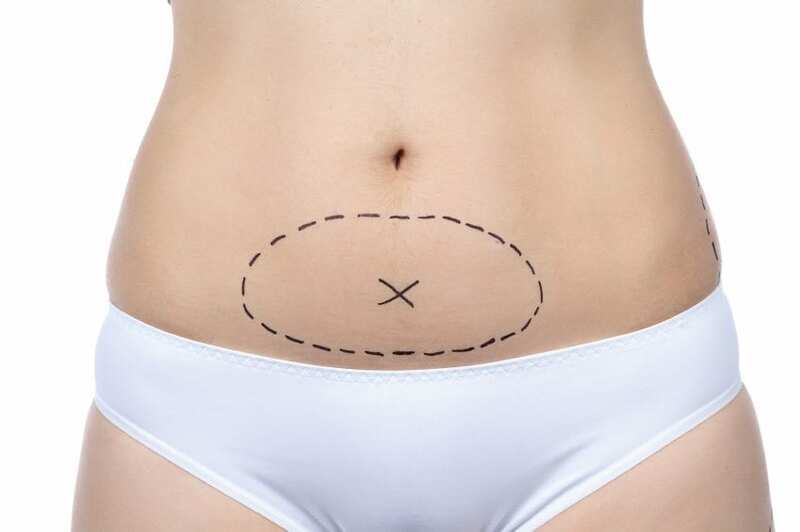 This type of surgery, also referred to as a tummy tuck, is done to remove any excess fat and skin from your abdomen as well as to tighten your abdominal muscles. However, as with most cosmetic surgeries, there are a lot of misconceptions surrounding the procedure. As a clinic that carries out abdominoplasty, we’ve put the record straight on some of the most popular myths. A lot of people view a tummy tuck like it’s a permanent cure – forever going to keep their tummy looking tight and trim. Whilst the idea is to remain at a size that you are happy with, excessive weight gain is something that can still alter your appearance. Considerable weight gain may leave you with signs of stretching and other unfavourable results. This is why it’s suggested that you only undergo a tummy tuck after you have finished have children. The biggest misconception of a tummy tuck is that they are only for those who are drastically overweight. In fact, the best patients are the ones who are very nearly at their ideal weight and need help removing the bits of fat and skin that just won’t budge. They are often sought out by those who have just lost a lot of weight and need help tightening up excess skin. A lot of people have negative opinions when they hear about someone undergoing abdominoplasty.They believe that it’s an easy way to lose weight and that the people choosing to have it are simply too lazy to diet or exercise. This is wrong. As we said earlier, the most common patients are those who are have been left with excess skin after weight loss. Usually, no amount of exercise or diet will shrink this excess skin and fat. As well as carrying out surgical cosmetic procedures, we also specialise in non surgical treatments such as hair removal, dermal fillers and acne treatments in the Channel Islands. Whether you want to talk about our surgical or none surgical treatments, please don’t hesitate to get in touch. You can call us on 01481 736699 and our expert team will be happy to make an appointment.